Call me cheap but I love my 15+ year old Wacom Intuos graphics tablet. I bought it with the first money I earned with my design work. 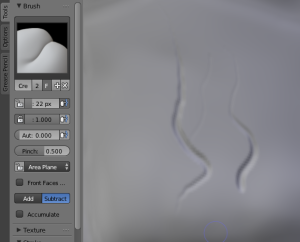 I love drawing with it in Photoshop, Illustrator and sculpting and painting in Blender 3d. Have you ever tried Illustrators Blob tool with a Graphics Tablet? It’s amazing! What I do not like is that after every system update the drivers where either late or since Yosemite (OS X version 10.10) did not work at all. After numerous searches on the web I finally found a solution that is working. And it is ridiculously simple to do. Read on! Do you remember what the latest working version was that was working for you? 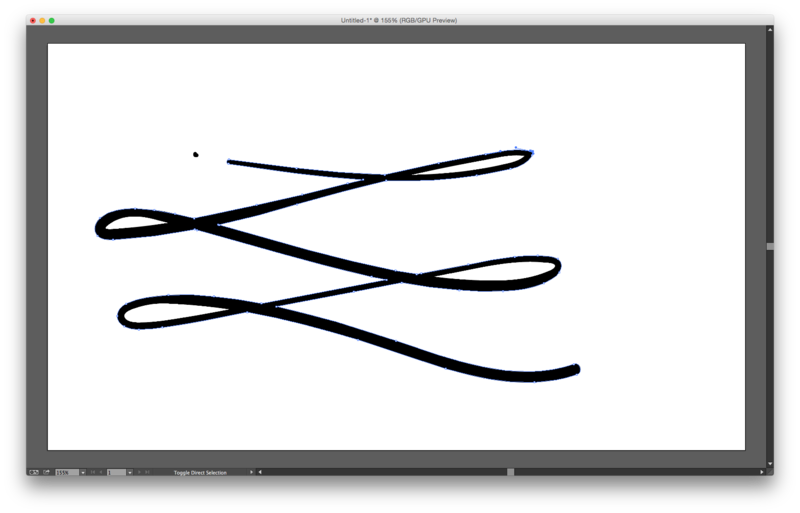 Great, go to Wacom’s driver page and download that one if you lost it. My latest working version was Driver 6.1.5-2, If you don’t remember yours, just try a few of the older ones. If you have a non working driver on your system you have to uninstall it first. Go to your applications folder and and look for a folder named Wacom Tablet. 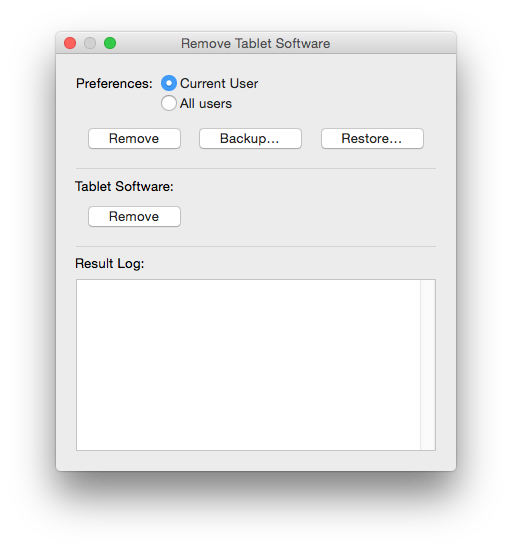 Open the Wacom Tablet Utility and click remove on both the Preferences and Tablet Software part. Now restart your system. After restarting your system you can install the new driver by mounting the downloaded .dmg file and opening the installer. Follow the instructions in the installer. After installation do not open your systems preferences! First do the next step. 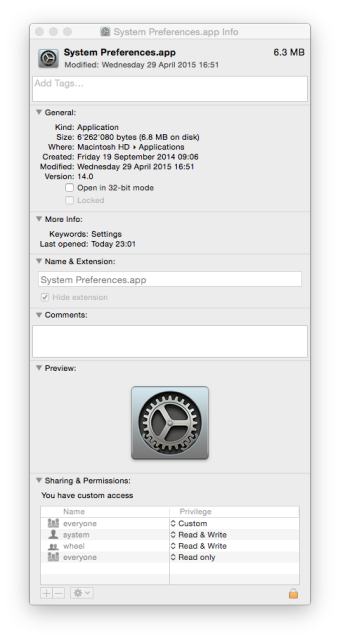 Go to Spotlight (the magnifying glass on the top right of your screen) and type in System Preferences. Don’t open it but instead press Command-i to open its info panel. Here under General you see a tick box with Open in 32-bit mode next to it. Click it! Close the info panel and go to Spotlight and type in System Preferences again. Now hit return to open your System Preferences (You can also go to your Apple pop-up and choose System Preferences there). If all went well you are now able to open the Wacom Tablet preference pane on the bottom of the System Preferences. Hurray! You can change your settings the way you want them. Now you can get the pen working like you want again. In my case not everything worked, I could not change the Pen buttons but I never use that anyway. I could change the pressure settings whereas I could not do that before. The pen would be stuck in either pressed or not pressed leaving me with no variation in my strokes whatsoever. Go to Spotlight again and type in System Preferences. Again don’t open it but instead press Command-i to open its info panel. Un-tick the box with Open in 32-bit mode next to it to set the System Preference back to its old settings. Each time you want to change the settings you wil have to put it back on 32-bits again as describe above. The problem is that the Wacom Tablet preference pane is written to work with the 32 bit architecture and Yosemite’s System Preferences only accepts 64 bit panes. So asking the System Preferences to accept 32 bits panes solves your problem. This might help you with other old Preference panes you have trouble with too! Sculpting in Blender like this would be impossible without pressure sensitivity!